All set to buy 2 of these straight away, then we decided to move house sometime after christmas and all my evil plans have backfired! 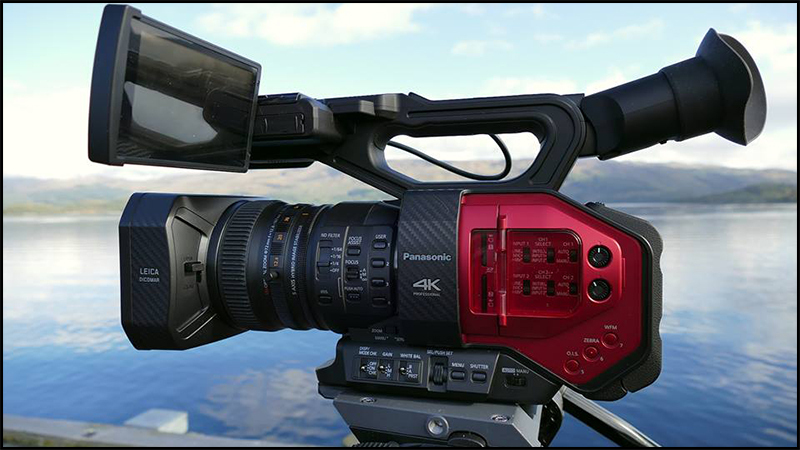 I’ll definitely be looking at this camera and other 4K offerings next summer. Still the difference between the canons and sonys you mentioned that have super 35 sensors is the fixed lens. 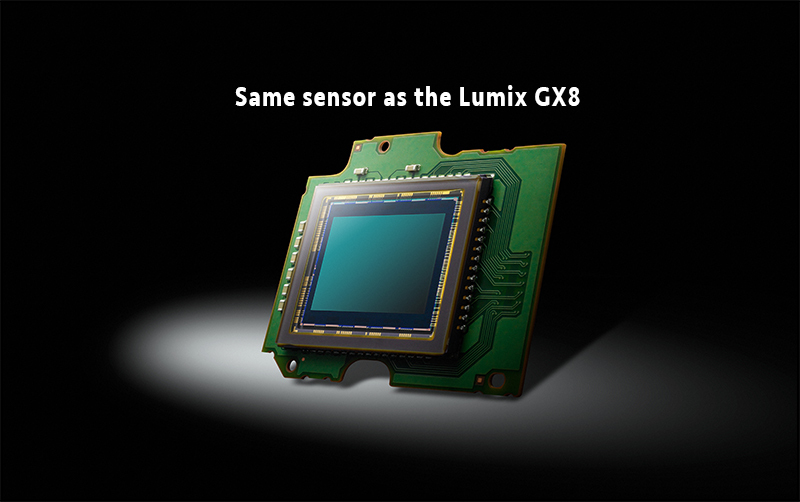 This is still the largest sensor you can get with a fixed and until they work out how to fix an acceptable zoom range onto a camera with super 35, this is the one to beat. I think it is really difficult to establish the focus transition configuration in the menu. Almost imposible. Maybe, I am doing something in the no right way. That’s a decent price, they were quoting £4000 just a week or so ago. My mind is just about made up, just need to flog the Sony NX-3 now to get some pennies towards the DVX-200. 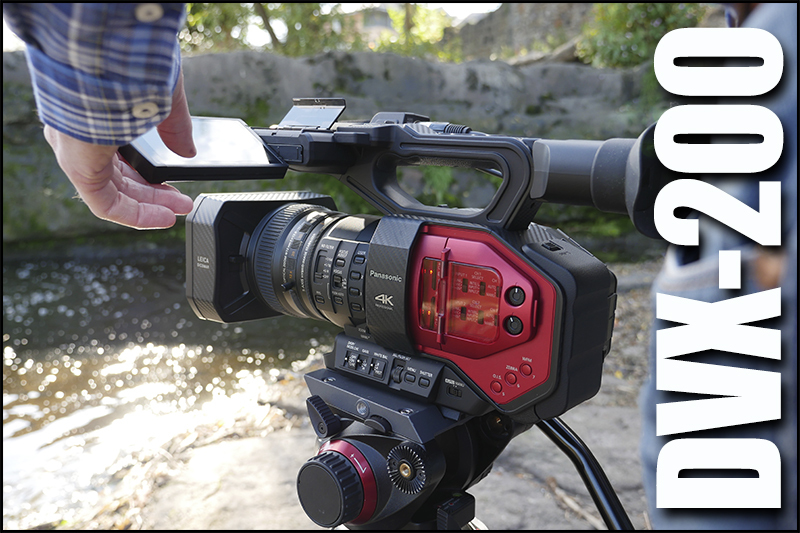 Phil, where do you see the low light quality compared to your PXW-FS7 or PXW-X70? 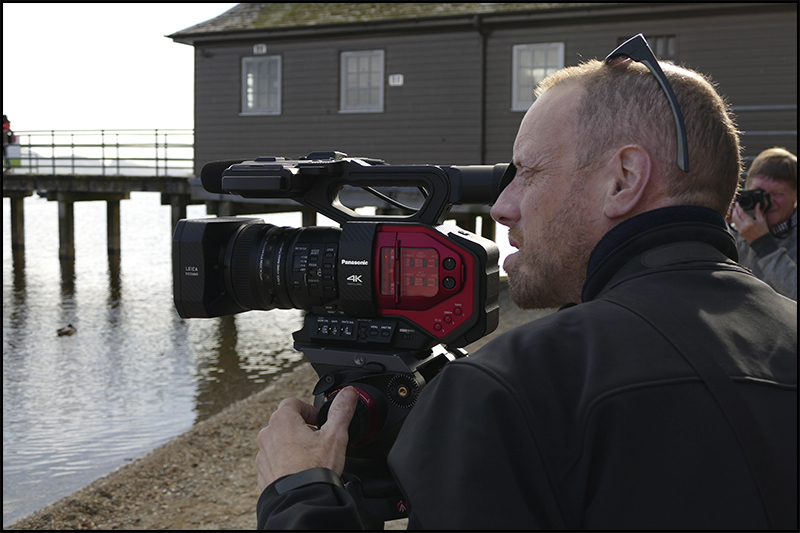 What is best (guess FS7), how large is the difference between the X70 and the DVX200? But again, 8-bit UHD doesn´t become 10-bit FHD, no matter what Barry Green writes…!!! ok. we shoot with what we have. But in order to put this camera here on the shoulder you need : a shoulder rig, a counter-weight, a viewfinder on the left side that must be adjustable, 1 or 2 handles on rods. By the end of the Frankenstein transformation you get a camera that weights a ton and EXTREMELY hard to use (or put down to rest a little. Frankenrigs are a true abomination , created to make us suffer. Can I talk “marketing” now? why there are no servo zooms wide to tele for the GH4? why all the other little cameras stop at 12 or 29 minutes? why the processing speed is so slow and you can’t pan with any camera below 20K (US)? why the low light is so poor on cameras with servo zooms below 30K (US)? So the way I see it is this: the Nikon D90 crushed all the marketing limitations on quality (it happened in ONE DAY, almost overnight. And the marketing people responded with new limitations. Same old… same old. Problem is that we suffer, that’s the problem. That is exactly what should be expected to happen, but you need to think of what is going on – it’s not all good news. To “overexpose”, you are effectively rating the camera at a far lower ISO rating than normal, so yes, it shouldn’t be a surprise the noise in the blacks is far lower. But the camera is then obviously effectively far less sensitive…. In reality it’s a lot more complicated, since you’re only able to get away with such “overexposure” anyway if the scene is relatively low contrast – otherwise you’ll simply get burnt out highlights. “Overexposing” and using log, then correcting in post is effectively trading off dynamic range for signal/noise. The theory is along exactly the same lines as why in the past cameras have always had quite a restricted negative dB range – 6dB at most, sometimes only -3dB. The reduction in noise comes at the expense of highlight handling. Looking at your images (the black label), what strikes me is less the amount of the noise than it’s nature. It seems to have a disturbing “quantised” nature? Or is that the effect of the post manipulation? 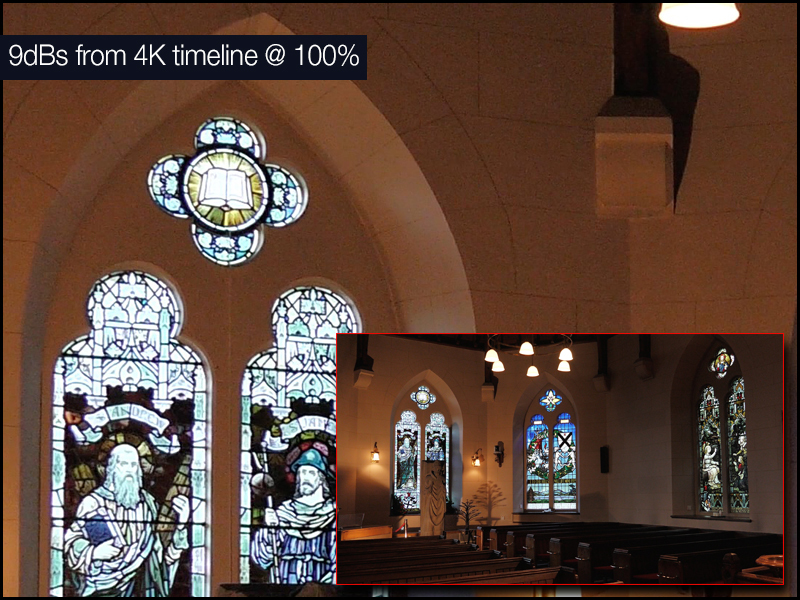 Regarding low light performance, then when you say the church interiors were shot at 9dB, then can I check what ISO rating that corresponds to? You mention a base ISO of 500, so am I right in thinking that as 9dB corresponds to 1.5 stops over 0dB, therefore about ISO 1250-1600? the oligopoly wants us to go back and spend 5K (US) per video/source again. In this case they keep the deadly restrictions on the little ones and try the segment of 5K (us) AGAIN. A camera that does what the little one does but with a servo zoom. So why the GH4 still exists (you’d ask): why? because Panasonic sells 5,000 GH4s a month (that’s why). bUT NO SERVO ZOOM FOR THAT ONE. And Panasonic still needs to pay the oligopoly back for allowing one of the deadly restrictions to slip (no 29minute restriction, yes, THAT one. oh, almost forgot : they left a trace visible of the noise manipulation @9DB ? LOL … ALL the cameras are manipulated and deliberately restricted when it comes to low light performance. By the standards in the agreement of the oligopoly. HDW : In case you thought Mark was talking gobble-de-goop An oligopoly (from ὀλίγος (olígos), meaning “few”, and πωλεῖν (polein) , meaning “to sell”) is a market form in which a market or industry is dominated by a small number of sellers (oligopolists). Oligopolies can result from various forms of collusion which reduce competition and lead to higher prices for consumers. I have to agree with Mark’s comments above about the ergonomics. It’s true anyone CAN use third party accessories to improve matters – but why should it be necessary to spend a lot of extra money to correct what is really poor design in the first place? And what is inevitably going to compromise such anyway is the positioning of the eyepiece right at the back and fixed, on a relatively long body. This means any shoulder support system must be added behind the existing camera (and balanced accordingly) which makes the end result stick out a long way in front of the cameraman. They need to take a hard look at Sony’s FS7 in this regard, where the viewfinder is far further forward on the camera, so much of the camera body gets moved alongside the cameraman’s head when handheld. HDW : Panasonic have made this type of hand held camcorder for ages why is this so different, why are we so insisting on shoulder mount when its clearly not designed to be “shoulder mounted”. Whats wrong with a tripod or a mono pod ? so in order to get a footage similar to the GH4 and a servo zoom we have to pay 5x more? HDW : GH4 does not do UHD 50p, nor can you get a 13x servo zoom, you can’t use a GH4 in video mode for fast moving sports, if all you are doing are interviews and GVs the GH4 will be fine. I just made a film with the FS7. 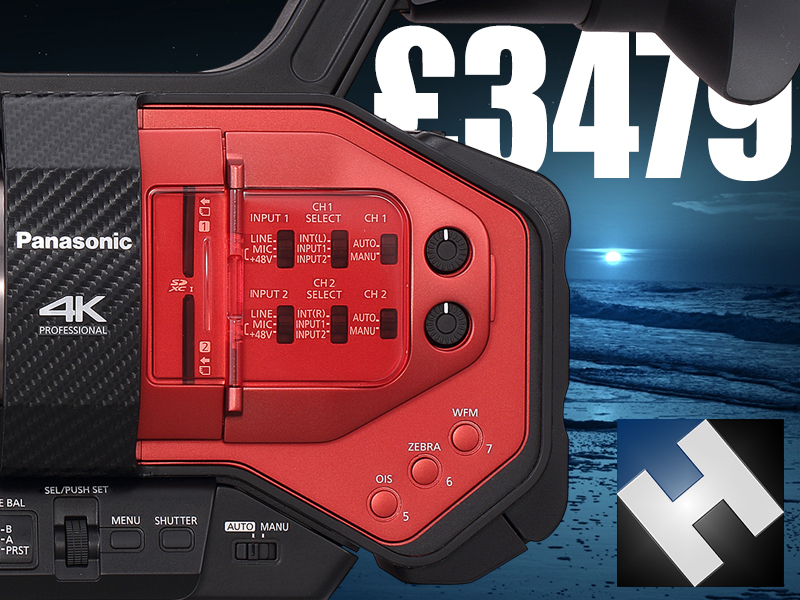 The viewfinder is detachable – it slips over the LCD and magnifies it. 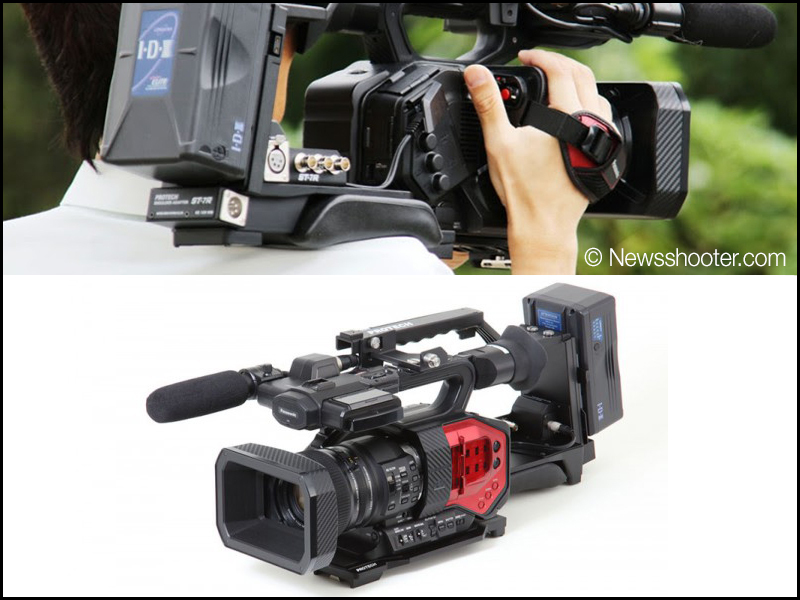 So why is that any different than adding a viewfinder onto the LCD of the DVX200 and using a similar rod to the one that comes with the FS7 (like Zacuto). There’s very little difference there, aside from the fact that the DVX is much lighter than the FS7. And when one wants to turn the FS7 into a fully functional cinema camera, you frankenrig the thing! I think it’s a matter of taste and opinion. I’ve worked with cameras like this for years and haven’t had a problem. Many manufacturers have had this styling in the past, true – not just Panasonic. But JVC had a shouldermount styling a while ago in this size/weight of camera, and it was seen as a big plus point. 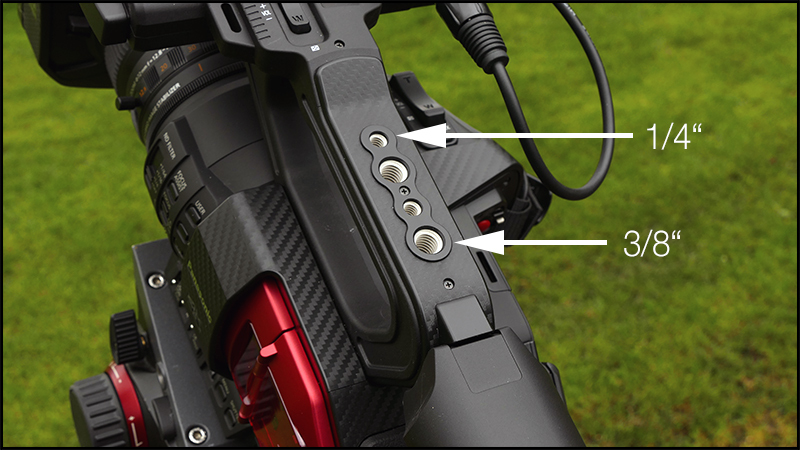 Canon and Sony have also moved away from it in two different ways – to the “squat” design as with the Canon C series and the FS5, and to semi shouldermount with cameras from Sony such as the EX3 through now to the FS7. And such has generally been well received – so why do Panasonic stick with the old design? You also say “Whats wrong with a tripod or a mono pod ?” and the general answer of course is – “absolutely nothing”. But I was referring to Marks original comment which was specifically about HANDHELD ergonomics – as was your original paragraph at the start of this article. On a tripod, no problem, but on a reasonably large camera, viewfinder placement at the rear makes for much more awkward to handle if shooting handheld in confined spaces – the full camera length in front of the face. And why not follow other manufacturers lead in making the top handle removable when it’s appropriate to work stripped down….? 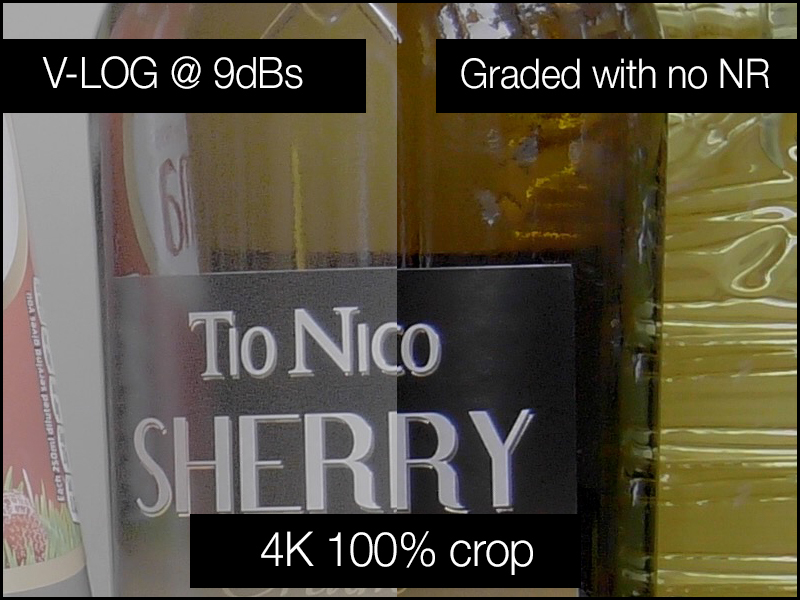 HDW : exactly (the GH4) and now we agree that the “no servo zoom wide-to-tele” for GH4 idea actually works? David Heat: I still believe that the design is completely wrong, but we are here trying to help and make the best out of what we have (like Philip does, indeed). The Zacuto shoulder mount makes more sense. All these comments about not having interchangable lenses or shoulder mounts to me are a little silly. A bit like complaining that the sports car doesn’t have an 8′ pickup bed or 8 seats !!! There are lots of cameras with the same form factor as the DVX200. Comments in my mind should be restricted to this form factor and how it performs not wishing it was something else. Is the lens really parfocal in practice , how smooth is the zoom with LANC controllers, what is the low light performance before grain, how does the encoding compare to the Sony XAVC codec, is the wide angle using UHD 50/60P a real restriction etc etc. Jonny Gross : this camera is not for movies. GH4 , red, alexa, F65 are for movies (in fact you rent them, don’t buy it) Mainly because you need a set of lenses that go by light transmission instead of f/stops (unless you want to make the lighting people go crazy). This camera is for events (basically weddings). Even indi and amateurs/professional music video (for free) get a GH4. The paid ones go for red or alexa (again, and again rented). Holding this camera here in mid-air is illogical. and to cover a wedding (B&G getting ready, the ceremony and the beginning of the reception = 8 hours) is unbelievably painful. out of this world painful. Stuff like you don’t feel your arms for a week after. If you hold a pack of cigarettes for 2 hours hurts too. Imagine 7-10 lbs. What about corporate? Promos? Lectures? Sermons? For those I need a camera that I can hold at chest height as well. For weddings you get a shoulder extension. For me it needs to be a few things in one package. I wouldn’t shoot a wedding without a shoulder mount. I wouldn’t shoot a wedding…but anyway. Gawd, I have done everything to get away from the days of having a shoulder mounted camera! THAT’S SO YESTERYEAR!!!! So restrictive! The handheld design is great using a support such as a mono-pod or tripod. If the on board OIS is good can get away with a few hold shots too, depending on circumstances. Jeez keep shoulder mounts! I remember the dead arm from that only too well!!!! Well that’s the point Gary. This kind of camera is customizable. Buy a bulky shoulder cam and that’s what you’ve got! Gary Greenwood and Jonny Gross : here’s the thing guys: you can hold a shoulder camera at chest height, you can shoot from the floor as well , basically you can do everything you do with any handycam. Plus you get the option to keep the footage steady on your shoulder naturally and without fatigue because of the 4 points of contact. so problem solved then: a shoulder mount wins, always. Now a frankenrig experience stays in between a prostate exam and a root canal in term of pain in my opinion. They add so much weight for basically no reason because the palm/handy cameras are what they are. Still makes the most ridiculous nonsense of these last 5 years for R&G , events and even corporate. The movie sets belong to a totally separate category and can afford rigs and heavy mounts because they have people (many) operating . the best shoulder mount in terms of pure ergonomics goes to JVC in my opinion , PMW-400 gets the second place considering the size, but stays on the shoulder beautifully. Hi Philip. 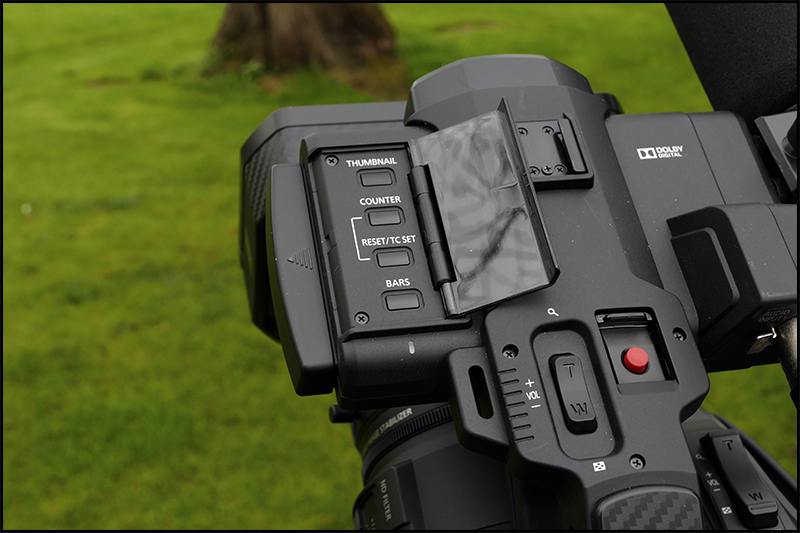 How would you compare the DVX200 vs the FS7 regarding picture quality, handling and ease in postproduction? To me the DVX200 seems like quite a bargain. I am currently using a C300 and have been using EX1s in the past. Looking to buy a second camera that is also approved by broadcast. HDW : Two different animals and prices, DVX200 is a great all rounder but limited by its m4/3 sensor while the FS7 has a S35mm sensor to die for and if you have the cash a couple of zoom lenses to choose from, the Sony FE 28-135mm f4 G PZ OSS is a great lens but the 1.6x crop brings that WA closer to 45mm. The Sony E18-105mm f4 G OSS as seen on the FS5 is a lot cheaper f4 constant aperture and 29mm after the 1.6x crop a lot closer to a wide angle zoom. 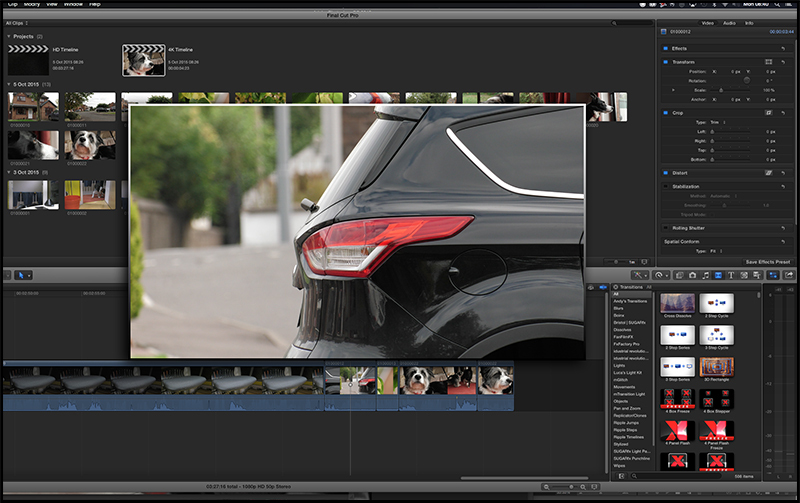 How did you find the handling/ files in postproduction compared to the FS7? 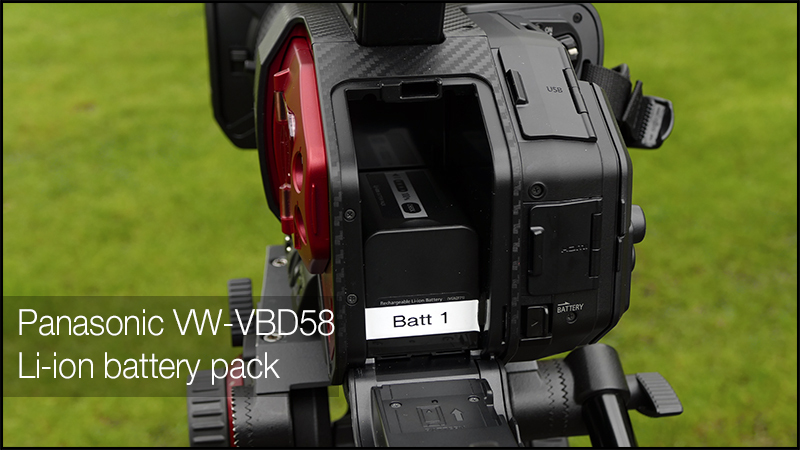 HDW : The FS7 is only recently fully compatible with FCPX while the files out of the DVX-200 imported flawlessly. How did you manage with the general image noise, even at native ISO and 0 gain? It’s all over any kind of shadow or moderately dark area, even in broad daylight. 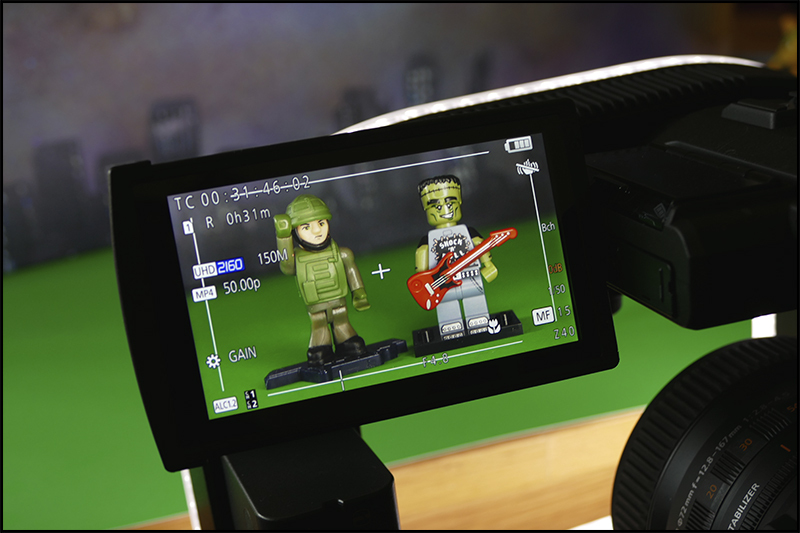 My trusty Sony Z5 fares better in HDV with it’s 3MOS. Is there a setting I’m missing? Hello. Do you think this cammera is good for low light enviroments? Is it ok in low light situations? For lowlight performance, then everything is relative. Expect it to easily outperform a camera costing well into five figures from only 10-15 years ago! That said, it has a base ISO of 500 – which is well below what may now be expected of large format cameras. 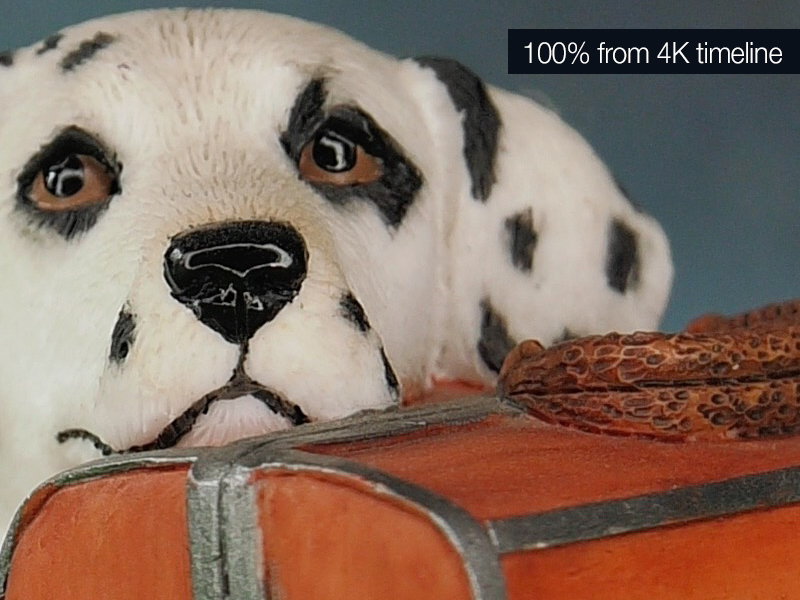 The Sony FS5 is quoted at ISO 3200 (no gain) for example. ISO is not the only factor in how well any camera will perform in low light, of course – you have to consider the lens. In the case of the DVX200 we’re talking about f2.8 max (subject to ramping when zoomed), and in the case of the FS5 it’s f4 with the kit lens. But it’s not really like for like as you’re then comparing a camera with fixed zoom lens with an interchangeable lens camera, with a kit lens with smaller zoom range. How important is that? Of course, if lowlight ability is absolutely paramount, the FS5 has the ability to use such as a fast prime of f1.8 or even more. Compare an FS5 with such a lens with a DVX200, and expect the FS5 to then have something like a **5 STOP** advantage!! Put another way, if the FS5/f1.8 lens combo gets exposure with no gain, you’d have to put at least 32dB of gain into the DVX200 to match!